Happy Friday !! Happy Dussehra to all !! Place numbers in the grid such that each row,column and 3*3 box contain the numbers 1-9. 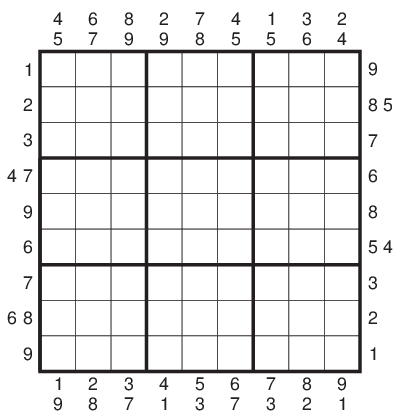 Additionally, some digits are given outside the grid. These digits must appear in the first three cells in the corresponding direction.